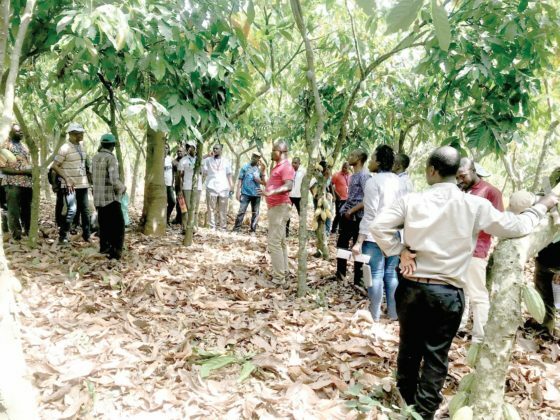 A 20-member delegation under the Maximising Opportunities in Cocoa Activities (MOCAs) flavour pilot activity in Côte d’Ivoire has paid a familiarisation tour to some key institutions in the cocoa sector. The delegation, made up of staff members from the Ivorian National Centre for Agricultural Research (CNRA), the Agence Nationale d’ Appui au Développement Rural (ANADER) and the Conseil Café Cacao (CCC) visited the offices of the Cocoa Abrabopa Association (CAA) and Cocoa Research Institute of Ghana (CRIG) in Kumasi and Tafo respectively. The tour, which was under the sponsorship of United States Department of Agriculture, was for the participants to familiarise themselves with operations of the CAA and CRIG; and to also tap experiences in the niche market of premium flavour cocoa beans. The visit was also to focus on learning at first-hand how CAA members are assuring quality during the cocoa production process, and the CRIG’s technical experience in defining the cocoa flavour-based curriculum. 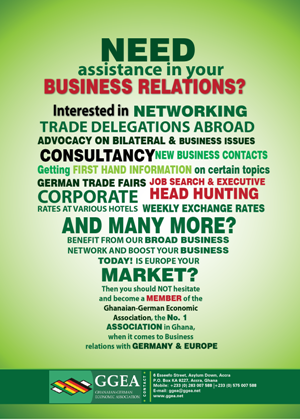 Ghana’s expertise in quality flavour beans, the Ghana Cocoa Board (COCOBOD) and CRIG have become the centre of attraction for cocoa-producing countries in the world. With support from the World Cocoa Foundation and the African Cocoa Initiative, both institutions (CAA and CRIG), are mandated with the technical expertise and training skills to sustain the flavour-based curriculum and experiential tasting – which are crucial steps to understand the impact of harvest and post-harvest practices on cocoa-flavour development. The choice of the CAA as an example of good practice is therefore not insignificant, since the cooperative received along with 18 other cocoa producers the Cocoa of Excellence International Cocoa Award, during the 2017 edition of the Salon du Chocolat. One year on, the CAA, represented by Simon Marfo, was honoured again by the Ghana Cocoa Board for his professionalism and efforts. The secret behind this success was due to the collaboration between the World Cocoa Foundation (WCF) and CRIG joint-efforts to train producers on sensory analysis of cocoa samples from their own production. During the visit to the CAA offices, participants had the opportunity to learn about the model and practices, and internal control processes and procedures established and applied by the cooperative that have assured the production of quality cocoa over the years. The team also learned about the challenges and opportunities related to the production of quality cocoa, as well as visiting some farms belonging to CAA members. At CRIG, the delegation learned about the improved quality control techniques at the Flavour Quality laboratory; observed flavour quality associated Good Agricultural Practices (GAP) in the field; and experienced a tasting session with detailed explanations of the results from sensory analysis of samples. The Executive Secretary at the CAA, Mr. Eliseus Opoku-Boamah, expressed appreciation for the visit. He said his team also wants to emulate this type of experience in Cote d’Ivoire and also learn from Ivorian producers, as the realities of cocoa farmers are the same everywhere. The Chairman of the Board of Directors at Capressa, a cooperative from Abengourou, western Cote d’Ivoire, Mr. Nestor Yao said: “In Cote d’Ivoire, our sections have a minimum of 50 producers with relatively large areas, which makes it difficult for the only delegate committed to control the quality of cocoa to provide a good assessment. This aspect, in my opinion, will be very useful for us; and we will discuss internally ways to implement it”. The Programme Director at the MOCA, Mr. Camara Sauveur said: “The visit offered the Ivorian cooperatives and MOCA team-members an opportunity to better understand not only the opportunities that improve flavour quality, but also the associated challenges”.